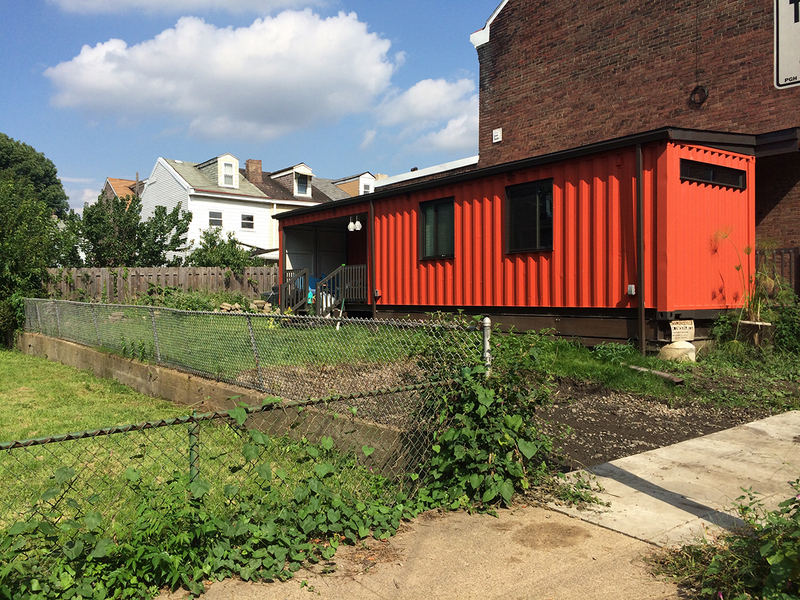 The daring and vision of Heather Mallak and Dror Yaron is expressed in the first Shipping Container house in the City of Pittsburgh. 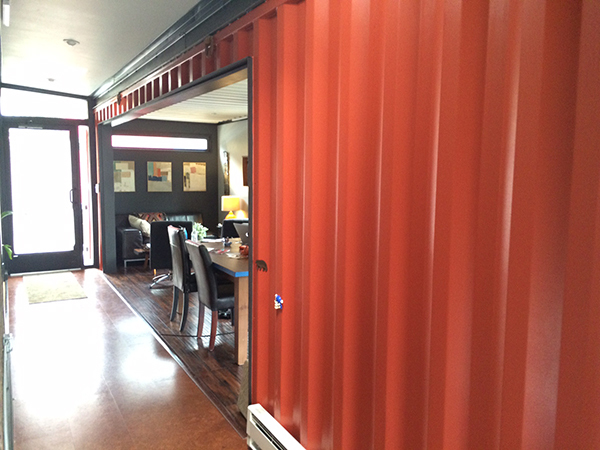 Containers can be an efficient use of material to extend space on a lot, especially when the container is set apart from an existing structure and the interstitial space is enclosed. 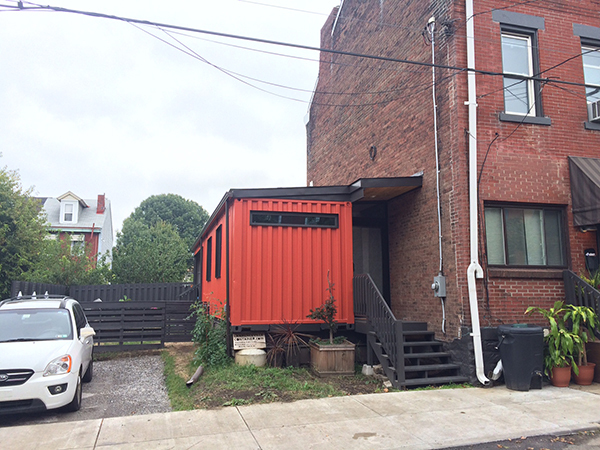 This was the strategy for this addition in the lower Lawrenceville neighborhood of Pittsburgh, PA. enclosing both indoor and outdoor space, this addition serves as an extension to their living space and provides direct access from their kitchen to an outdoor patio. 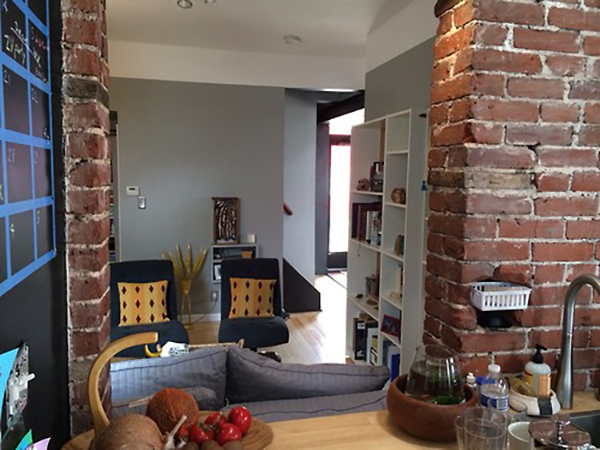 The slot created by separating the container from the existing house produced an intuitive entry point and strengthened a simple circulation pattern. 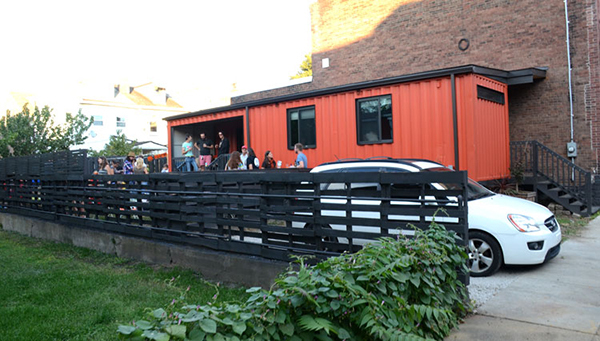 Future plans call for a green-roof atop the container, accessed from the second floor of the existing building. 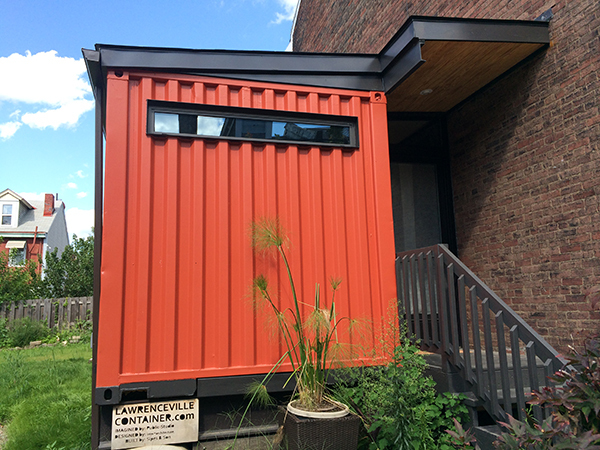 The design challenge was to retain the delicate balance between the character of a shipping container and a comfortable living space.